Recently, our neck of the woods was dealt a massive fire caused by human error and bad timing. A handful of FootSteps Marketing employees were evacuated from their homes, a few others housed evacuees for days and overall, the entire team was impacted by this event. Now, 7 days later, the fire is still burning, the firefighters are still working hard to contain it and though we’re all back in our homes safe and sound, many in our Valley are still impacted. 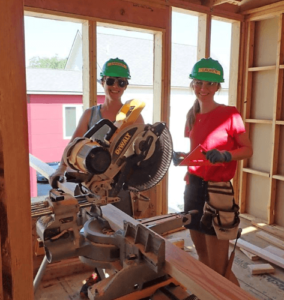 The week before the fire broke out, 7 of our headquarters teammates worked with Habitat for Humanity Roaring Fork on one of their newest homes in Silt, Colorado. It was empowering to be a part of a great crew that did a really good job framing walls for a whole day instead of building email marketing campaigns and customizing website designs. 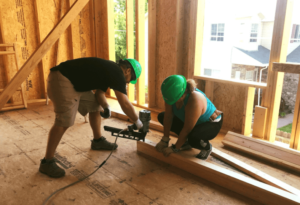 It was a pleasure to work with the Habitat for Humanity build crew and we highly recommend taking your company out of their comfort zones and into the realm of volunteerism every so often. It really does feel good. 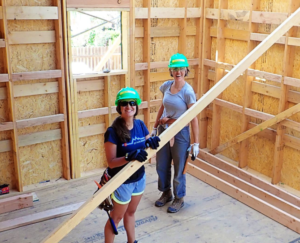 Taylor and Sydney, framing walls instead of creating email campaigns. Original blog post, before the fire. There’s only one thing better than doing a good deed, and that’s getting paid for it. We at FootSteps Marketing are committed to building and maintaining our corporate culture and our mountain community. 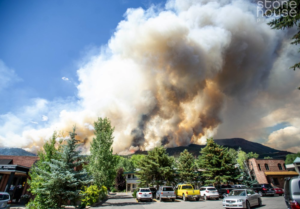 That being said, we know all too well the ever-increasing cost of living here in the Roaring Fork Valley and decided to offer our team the chance to actively be a part of building and maintaining both. 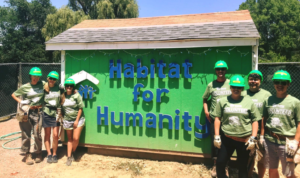 We treated our team to a day out of the office to volunteer as a build-crew for our local Habitat for Humanity. Not only was this a great opportunity get us out of the office, away from our computers, into our community, but it also provided our team with a chance to see our co-workers and company in a new light. 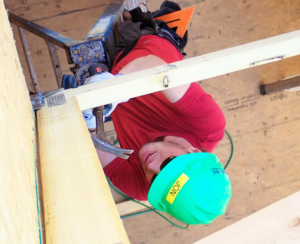 Working with non-profit organizations, like The Sopris Sun, Habitat for Humanity, Aspen Words, Carbondale Fire, and our local Chamber of Commerce, gives us unique insight into our community, our community’s needs and how we’d like to impact them. While we largely support small retailers and independent operations, our non-profit sector is growing daily (keep an eye out for new websites for Carbondale Fire and Basalt Chamber of Commerce), and we are so happy to make sure our corporate culture includes causes that are close to the hearts of our team members as well as aligns with our professional outlook. As far as we can tell, the biggest benefit to paid volunteer time—aside from the benefit to those you serve, of course—is likely the impact it can have on morale as an employee. There’s a sense of pride associated with volunteering, more so as a representative of your company. From an employee perspective, it feels good to know you have the opportunity to make a difference through your work. Jon working on ceiling structures instead of coding websites. Zander and Lauren, cutting wood instead of creating website designs. Shawn and Amy, nailing it! Additionally, a company that emphasizes volunteer work usually is trying to put forward a culture of caring, which FootSteps Marketing is famous for and we intend to continue on this path. We hope our day out of the office inspires you to do the same with your team.